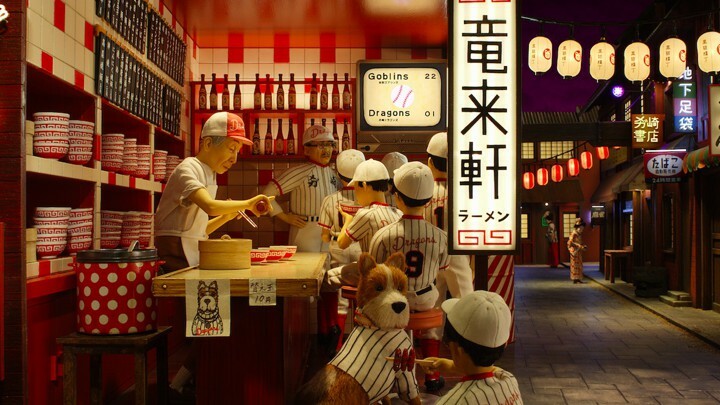 While Wes Anderson’s most recent foray into the world of stop-motion animation may at times be problematic with its appropriation of Japanese culture, Isle of Dogs is an interesting study into how we generate understanding when there’s a language barrier. Whether it’s a difference in human dialects or in whole species, the adventure following the dogs of Megasaki City is experienced with a great many obstacles to communication – with the audience sometimes included in that ignorance. And yet, we still get a film that creates empathy with a whole host of four-legged and two-footed characters whether we understand their dialogue or not. To begin, the sad truth is that you can’t really talk about this film without addressing the controversy surrounding it. Though intended as a love letter to Japanese cinema, the film ended up being more exclusive for a Western audience when the Japanese dialogue was translated in various creative ways to accommodate English-speaking audiences. At first look maybe not so problematic, but with a great deal of the quirks and jokes nodding to the lack of understanding, it isn’t so hard to see where things may have become alienating for those who understood the non-English dialects as well. Yet more controversy comes when you try to delve into exactly how it affected non-Western audiences, as the response is pretty ambivalent. Having consulted Japanese speakers and exhibited genuine artwork by individuals of native nationality for the film, it’s pretty murky what the final verdict is. While I’m not able to put a personal reading on this issue or talk for other audiences, I’m instead curious to investigate the creative intentions behind this play on communication. Throughout the film’s hour and a half run-time, Anderson uses a whole range of mediums to tell his story and transform the language used. We open with a titled prologue and a narrated stage play, acting as an overture to foreshadow the events of the film. From there the script is nearly bursting at the seams with its different mediums: illustrations, haikus, cartoon video feeds, even sketches in the sand. Only in the last ten minutes are straight-forward subtitles used. Design is so key to this director’s auteurship, and his stop-motion gives us an even bigger wealth of unsaid information because it’s so meticulously made. Perhaps a lot of controversy arose because, in a style so obsessed with detail where every choice is deliberate, you can’t avoid a political alignment. But something that stop-motion also offers is an exaggerated ability to create empathy through the mannerisms and behavior of characters, without saying a single word. Anderson’s style is renowned for its blank expressions and monotone performance, and while this holds true in his animated characters and their voice actors, the expressiveness of the form already sets a stronger pace for subtext. We’re so fascinated by how the whole production is made that we spend half the time marveling at all the tiny details. So when we see a dog trapped in a locked cage look to both sides, to the rats scurrying around the floor, and up to the sky as lightning flashes before turning back to the camera, the effect is heightened. We know it’s been deliberately choreographed, and there’s humour in an animal given such humanistic behaviours, but the medium suspends our disbelief to bring us closer to the character. Dialogue, of course, still has a big part to play in getting to know a character. As the opening titles tell us, ‘all barks have been rendered into English’, presumably so the American audience can connect easily with the canine protagonists. But there are a lot of signs that we are left to pick up intuitively; the way the dogs assert dominance by raising their front bodies up, the submission to the human characters when they want to be pet. As any dog owner knows, man’s best friend can be pretty easy to read once you know what to look for, so it feels somewhat ironic that these are the characters we can quickly understand. Instead it’s a lot of the human characters that Western audiences don’t have direct communication to. Atari, the little pilot in the shadow of the mythical boy samurai, never speaks English and doesn’t have anyone to translate him until the final confrontation. Though the dogs give us an idea of his speech (Rex responds to Atari’s dialogue with remarkable comprehension; ‘we get the idea. You’re looking for your lost dog Spots’), it’s instead through Atari’s actions that we come to care deeply for him. His dedication to fly all the way to trash island to find his lost friend, a flashback to his first meeting with Spots, and when he defies the alpha canine Chief to go on an old rickety fairground slide. He’s idealistic, resilient- a little bit playful. You don’t need to use words to show that. So really Anderson is pushing his audience to engage their visual literacy as non-Japanese-speaking viewers have to rely on images more and more for their information. As the tension ramps up there are less direct translations and more crosses of mediums. It isn’t hard to see how Asian audiences may have felt alienated once you put it into perspective. Though the dialogue itself is pretty accurate, it’s not really designed to be heard. Emily Yoshida wrote about watching the film as a Japanese speaker for Vulture, and it’s definitely worth a read if you have the time and want a more specific reading than what I can offer on the subject. Where the real problem lies is in the character of Tracy Walker, a foreign-exchange student cross animal-rights and political activist. 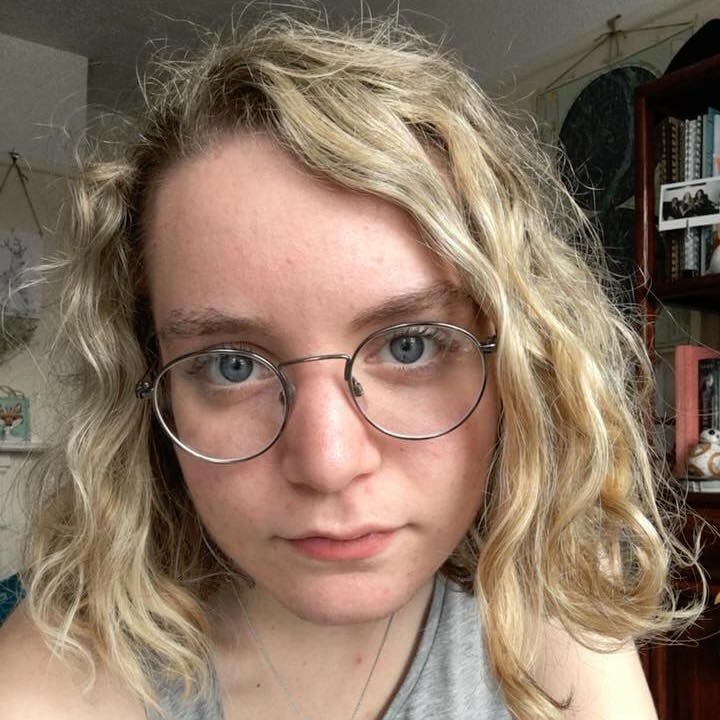 I love Greta Gerwig voicing a strong-willed, opinionated young woman, but the issue is where Tracy is placed in the narrative. Particularly at the climax of the film where she – a white, American, English-speaking individual – leads the resistance against the totalitarian government. She speaks in English to the Japanese masses with no seen translator, which is a bit strange considering the party of students behind her are all native to Japan; even though Atari and the Japanese scientists are the human heroes, they end up being enabled to a certain extent by a white saviour. 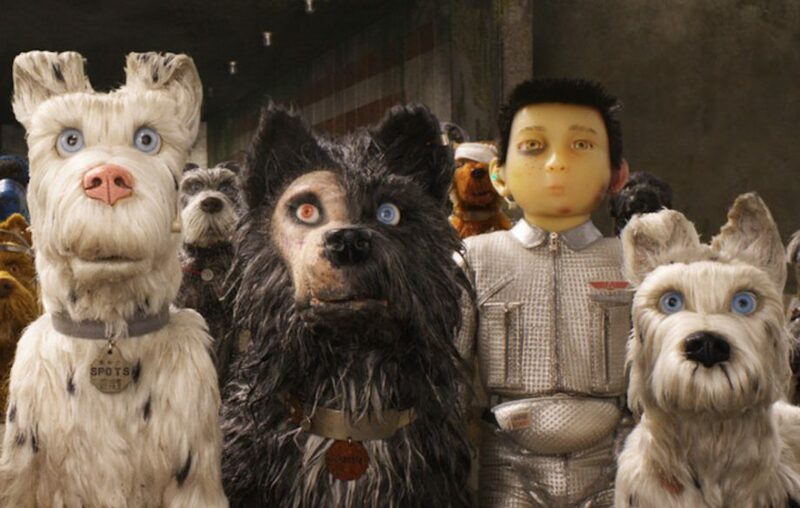 But, to get back to the intentions behind Isle of Dogs, one of the main ways Anderson tries to create bridges between cultures is through interpreters. During press conferences we get to see English-speakers plugged into headphones and placed in front of a microphone in an almost self-reflexive way to translate. The agency of an interpreter is interesting here: what is their power status compared to those who speak only one language but determine what is said? Well, arguably, the employed interpreters play no bigger role than a language bridge, but the dogs (and definitely Tracy) are undeniably at an advantage when they have comprehension across cultural/species borders. Tilda Swinton’s Oracle is a god-like all-knowing figure because she understands the news programmes on an old television and so can update the dogs on trash island to the happenings in Megasaki City. The placing of the audience means that Western viewers are given the dramatic irony for the jokes to work, but are limited enough in communication that we can go through the plights of the dogs with them. Personally, though it may use Japanese identity a little frivolously, it was refreshing to watch a film undeniably aimed at an American market which actually had other languages in it, rather than automatically translating them into English. Anderson tried to make space for the Japanese culture he was picturing – going as far as to put titles and credits in both English and Japanese text – but the argument still holds that the film certainly comes from a Western perspective; it’s complex communication study, while creative, is not designed to be absorbed by those that speak both English and Japanese. Perhaps a little disappointing for what was intended as a love letter to Japanese artistry, but nonetheless another empathetic addition to the director’s filmography and a firm favourite on my list.